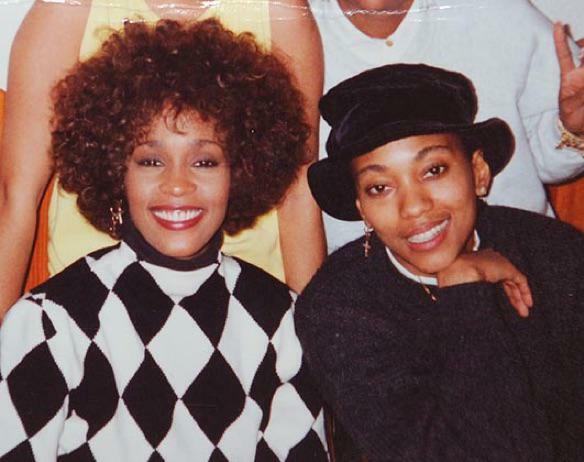 If you’re a big fan of Bobby and Whitney, you probably spent Tuesday and Wednesday night with your eyes glued to the television watchin’ The Bobby Brown Story on BET. While lots of fans thought the biopic was just as good as The New Edition Story, there were still people who weren’t too thrilled about certain aspects of the story. Apparently, Bobby Brown’s sister, Leolah Brown Muhammad, is one of the people who wasn’t feelin’ the biopic at all. After the movie aired, an angry Leolah took to Facebook to blast her brother and his wife for the family’s depiction in the film. Last night, Leolah turned lots of heads on Facebook when she posted a lengthy rant confronting Bobby and his wife, Alicia, for various parts of the biopic. Leolah went all the way there with Bobby and Alicia and she didn’t bite her tongue at all. Apparently, Alicia wasn’t so thrilled about joining the Brown family, as the film claimed her to be – and Leolah had no problem pointing it out. In fact, Leolah claims the family drama is so bad, Alicia allegedly caused a rift between Bobby, his mother, and the rest of the family. “How the hell they gon do a movie about my brother Bobby Brown which includes his siblings and his so-called wife (Alicia) is one of the dam producers???!!!!?? ?” she wrote. “And I promise you they will be REAL & TRUE! And I don’t care if they are new to the industry! Key is, were going to make sure that the movie is telling the dam truth! And it will be so much BETTER anyways telling the dam truth! Why LIE???? Could of gotten a way better movie BY TELLING THE TRUTH! SMH…” she wrote. You gotta read the whole post to take it all in. Needless to say, Leolah has garnered quite a reaction from Bobby’s fans, many of which have questioned where her loyalty lies. But despite the speculation about her shadiness, she fired back at Facebook users sayin’ “she wouldn’t just sit around and “’go along with the bull****,’” according to Madame Noire. Surprisingly, Leolah went on to insist she’s only speaking out for her brother’s safety. She insists Bobby just has been “himself” since he got with Alicia. And please don’t get me wrong FB. I LOVE my brother Bobby! God knows I do! I love my whole family! But dammt at some point you have to ask yourself, IF YOU DO LOVE YOUR FAMILY..HOW FAR ARE YOU WILLING TO GO TO AWAKE THEM!??? See, this is where I do not give a dam! My brothers life is at stake right now as I speak! And I have been trying to get to him to just simply talk to him to wake him up! In my opinion, my brother doesn’t KNOW or UNDERSTAND what REAL love is! Seriously! And I really feel sorry for him bcs I don’t believe he knows what love is. He’s been out there since he was a child! Everyone has always loved him for being Bobby Brown you feel me? And so, he in my eyes & mind, just does not know! He really thinks this Alicia woman REALLY loves him! But I and everyone else KNOWS that it is seriously impossible for a woman to love a man and do the things that she continues to do. But HE CANNOT SEE THAT! How do you get to him? Especially when he’s not in your town! She has control over his food, drink and looks at him when he sleeps! We have no idea what she’s doing! The latest news follows a string of reports about Leolah’s previous Facebook rants. For those who don’t know, Leolah has been sounded off about family-related drama, since Bobbi Kristina was found in the bathtub of her Duluth, GA townhome back in January of 2015. Up until Bobbi Kristina’s funeral, Leolah was quite vocal about the situation and her perspective on Nick Gordon. But she’s not the only one soundin’ off on Bobby and his wife, Alicia, right now. As previously reported, fans have also blasted the couple with relentless shade since they shared their truth in the film. Although Leolah is known for ranting, lots of people are wondering if she really has a valid reason this time around.